»Culture & Arts»ClexaCon, The Largest LGBTQ Multi-fandom Convention in the world, is going to London! ClexaCon, The Largest LGBTQ Multi-fandom Convention in the world, is going to London! 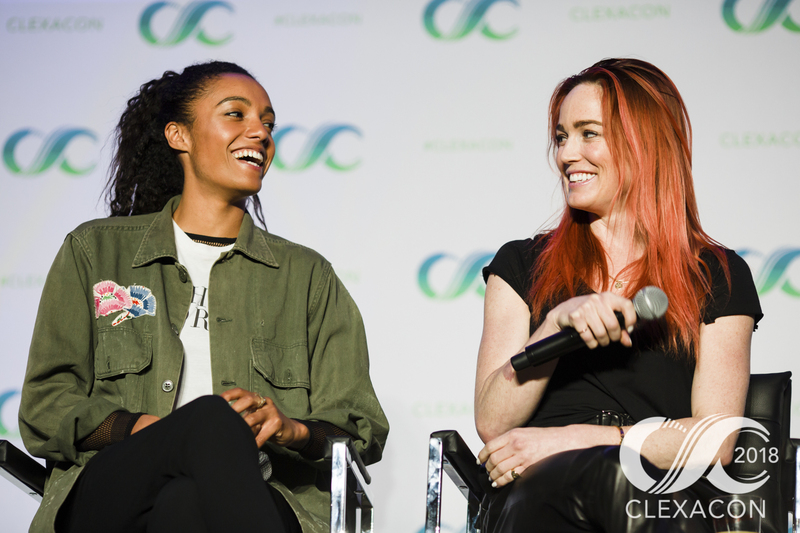 ClexaCon, the largest multi-fandom event for LGBTQ women and allies, usually held in Las Vegas, is, for the first time ever, also kicking off in London in Autumn this year. Building on the massive success of ClexaCon, which has taken place in Las Vegas, NV for the past two years, the European edition will bring together in London the best in queer television, movies, books, blogs, and more. The highly anticipated pop-up event will take place at the Novotel London West (Hammersmith International Centre,1 Shortlands, Hammersmith, London W6 8DR) on November 3-4, 2018. The London chapter, while a smaller, more intimate version of the main event held annually in Las Vegas (which hosts 4,000+ LGBTQ women and allies), represents a key geographical expansion for the iconic Con. Focusing on a more curated experience for its European attendees, ClexaCon London is committed to raising awareness about the differences in creative spaces and support for LGBTQ women in the UK in comparison to the US, to inspire more LGBTQ women to create more content. LGBTQ+ representation matters now more than ever. While there seems to be an overwhelming move towards diversity, with LGBTQ-centric narratives and characters popping up in movies these past few years, still major studios are remaining behind when it comes to fully embracing a culture of inclusion. By encouraging the LGBTQ+ community to tell their stories on the small and big screen, we not only give viewers a more accurate view of society, but we also give LGBTQ+ individuals the chance to see themselves as integrated members of said society, and showcase the universality of our lived experiences. Many Cons claim to be different, innovative and disruptive in some ways, but ClexaCon not only talks the talk but walks the walk, genuinely pushing the envelope forward for female LGBTQ+ representation in front of and behind the camera. Ashley Arnold, Danielle Jablonski, and Holly Winebarger, the masterminds behind ClexaCon, are actively working to shift conventional thinking, by continuing to advance the conversation about female representation in the film & TV world. “We hope attendees leave ClexaCon London feeling empowered. We want them to know this industry, like all industries, is in desperate need of more diverse voices”, said Danielle Jablonski. High on the agenda at the UK Con is the urgent need to listen to LGBTQ+ voices, to create more diverse content, and to put queer female stories front and center. To that end, ClexaCon London will feature a packed agenda of panels, meet and greets, photographs, and workshops from an elite community of LGBTQ game-changers, industry tastemakers, media influencers, and actors. Aside from fan panels (including UK Wynonna Earp Fan panel), the event will also offer content creation panels, acting panels, as well as academic panels. Discussing the future of diversity, inclusivity, and intersectionality in entertainment, the panels will be covering a wide range of timely and trending topics from women’s voices (“Placing ourselves in the narrative: Queer Women and Fanfiction”) to non-binary and gender-conforming people representation (“I have a Que(e)ry: where non-binary and gender non-conforming people fit within gendered, queer spaces) among others. Dedicated to lead the push for diversity, equality and inclusion of LGBTQ+ women in entertainment, ClexaCon London brings Europe’s diverse community of queer women together, providing a safe space and a valuable platform to amplify their voices and celebrate their many cultural identities – an empowering experience both professionally and personally.